The high mountains of the Wu Liang range in Simao, with perfect weather, high altitude and a pristine natural environment, are home to some of the greatest teas in Yunnan. 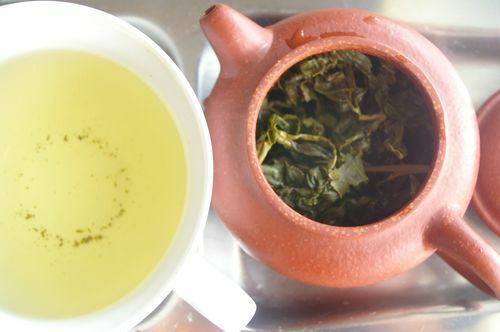 This medium-light oxidized oolong is highly fragrant, with a thick and healthy leaf that can be brewed many times. This particular “High Mountain” oolong was hand-processed by a Taiwanese master who came to Yunnan over a decade ago in search of the best place to grow high mountain teas. new to the tasting table..